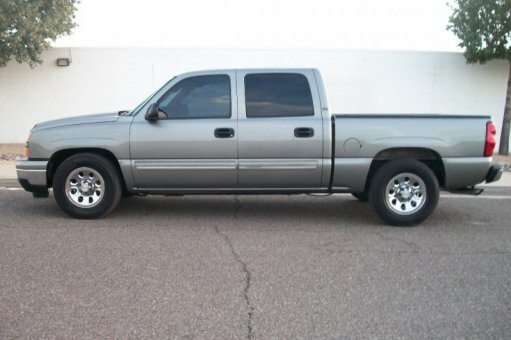 4D Crew Cab, Vortec 5.3L V8 SFI, 4-Speed Automatic with Overdrive, RWD, and Graystone Metallic. All dressed with features. Stop clicking the mouse because this 2006 Chevrolet Silverado 1500 is the truck you've been hunting for. New Car Test Drive called it "...the smoothest, quietest, most civilized, best equipped, and most enjoyable pickup truck we've ever driven..." It's the perfect vehicle for any family. It's ideal for transporting your kids in safety and style and the family dog will love it too! J.D. Power named the 2006 Silverado 1500 as the highest ranked in Overall Initial Quality Design in its class.